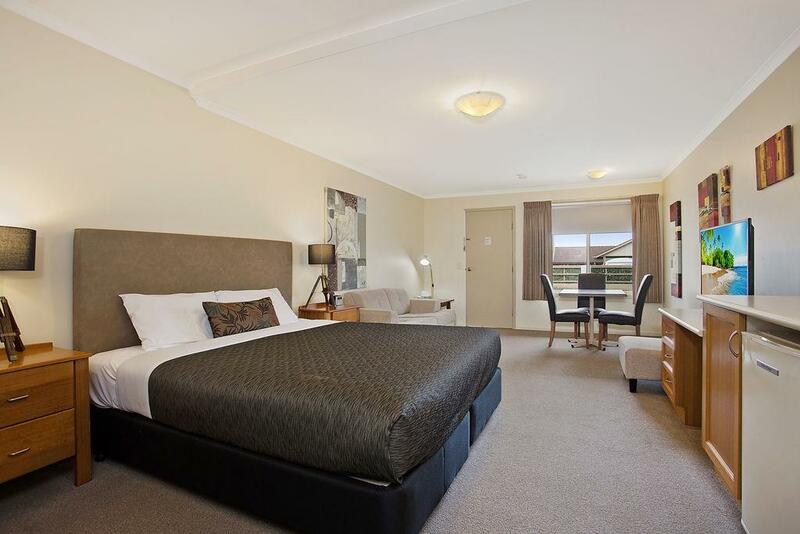 سواءً كنت مسافراً بغرض السياحة أو العمل, Comfort Inn Warrnambool International هو خيار عظيم للإقامة خلال زيارتك وارنامبول. يمكن من هنا للضيوف الاستمتاع بسهولة الوصول إلى كل ما تقدمه هذه المدينة النابضة بالحياة. 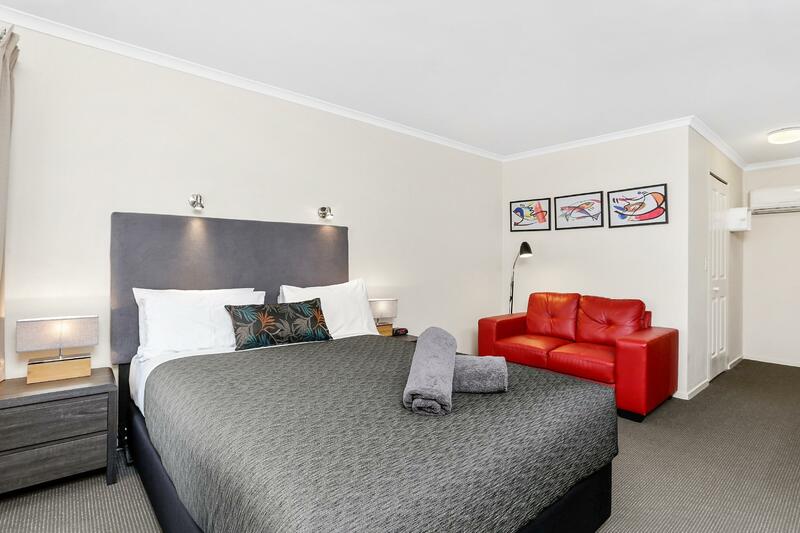 يوفر الفندق بفضل موقعة الجيد وصولاً سهلاً إلى أهم معالم المدينة.
. إن Comfort Inn Warrnambool International حريص على توفير الراحة للنزلاء، فلا يوفر الموظفون جهداً في تقديم أفضل الخدمات وضمان حسن الاستقبال. يمكن الاستمتاع بمجموعة من الخدمات على أعلى المستويات في الفندق كمثل واي فاي مجاني في جميع الغرف, خدمة التنظيف يوميًا, خدمة سيارات الأجرة, مرافق مخصصة لذوي الاحتياجات الخاصة, تسجيل وصول/خروج سريع. 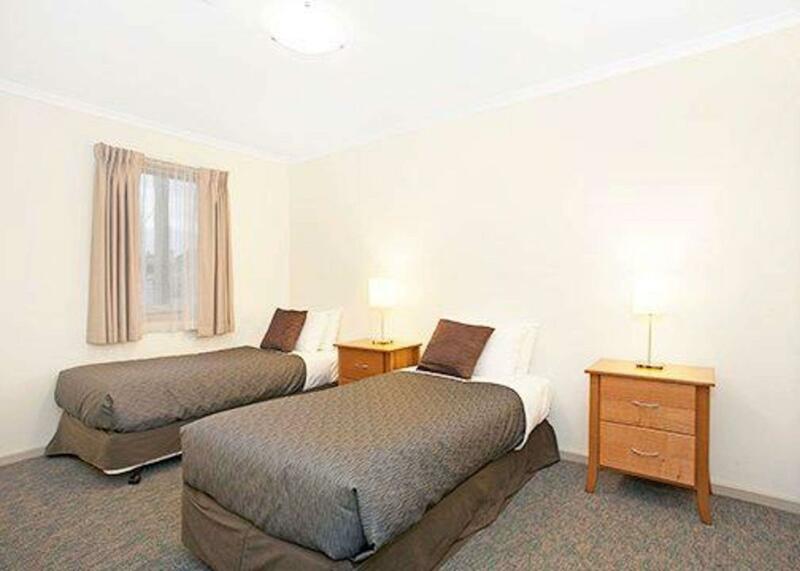 تنعكس أجواء Comfort Inn Warrnambool International في غرف الضيوف.تلفزيون بشاشة مسطحة, اتصال لاسلكي بالإنترنت, اتصال لاسلكي بشبكة الإنترنت (مجاني), حوض الاسترخاء, غرف لغير المدخنين هي بعض الميزات الموجود في العديد من الغرف. سواء كنت من محبي الرياضة أو كنت تتطلع لتفريغ عناء نهار صعب، ستجد خدمات ذات مستوى عالي بانتظارك كمثل حديقة. 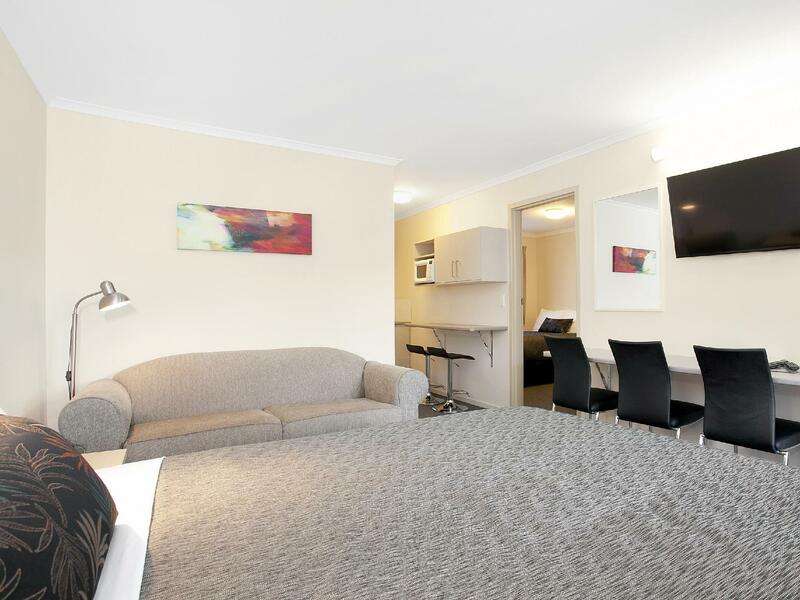 استمتع بخدمات لا يعلى عليها وعنوان ذو اعتبار في Comfort Inn Warrnambool International . easy to locate. carpark right in front of room. size just nice. no privacy as there are no separate rooms. there's a dining table. complimentary coffee n tea. toiletries provided. quite comfy although we stayed for only one night. Room and bathroom were clean. Overall stay was pleasant. The door kept making a sound whenever the wind blows. Old furniture. Location is good though. Not bad. Comfortable stay. Walking distance to big supermarket. Very Convenient if traveling the Great Ocean Road. Clean, neat, pleasant staff. Loved having coffee/tea set up with milk! Room is spacious and we have a great stay before heading back to city. 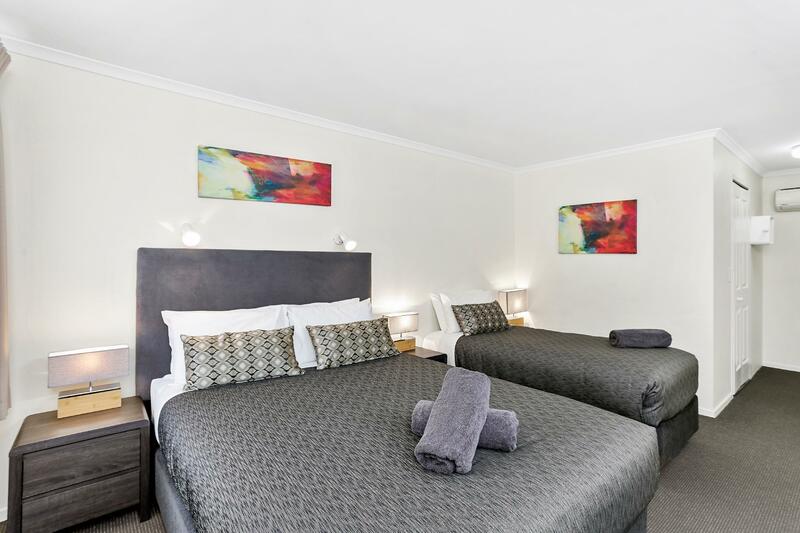 The hotel is situated pretty close to the town centre. Room is clean. Pretty decent for a quick stay before hopping over to the next town. The bathroom while clean could do with more bench space...a lot more. Very basic, very good location. Adequate for just staying one or two nights. Cannot understand why they charge one bottled water for AUD3? I thought that is basic item? It was ok and the motel was convenient for travellers like us who drove. The car was parked right outside the door to our room on the ground floor. Room was clean. Special credit to the front desk young lady who checked us in and gave us very good advice about dining options. Pleasant stay here. We probably got the (relatively) worst room downstairs at what used to be the end of the building before they extended it. The bathroom window looked at a new brick wall 10cm from the glass. 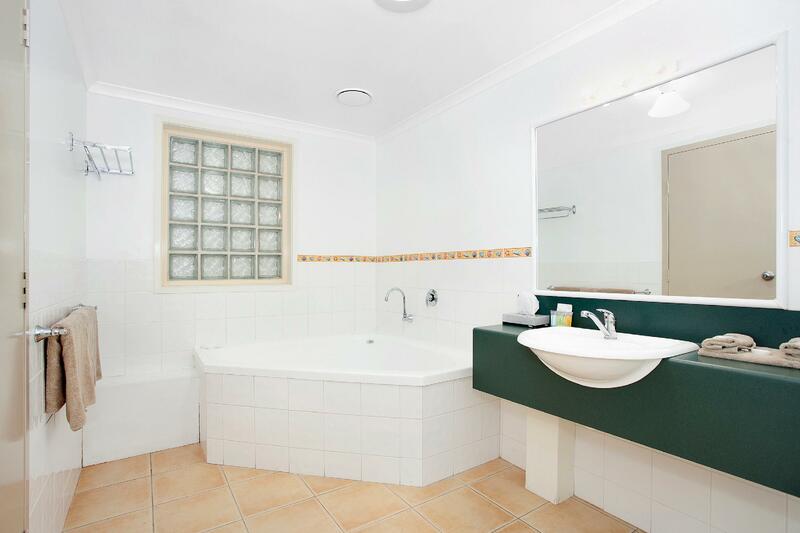 Great shower flow, pressure and temperature though, and an extremely comfortable bed in a quiet location. Best night's sleep in a long time. Sign at the front of the building says they have Foxtel, but we couldn't find it anywhere on the TV.